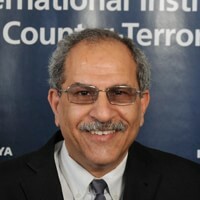 Dr. Yoram Kahati is a Research Fellow, Lecturer and Commentator at the International Institute for Counter-Terrorism (ICT) at the Interdisciplinary Center (IDC) Herzlia. He is also Deputy Director and Senior Researcher at the Intelligence and Terrorism Information Center (ITIC) of the Israel Intelligence Heritage and Commemoration Center (IICC) in Ramat Hasharon. He has lectured on the modern Middle East and the history of the Middle East between the World Wars at the Open University, Israel. Dr. Kahati earned his Ph.D. from the London School of Economics and Political Science (LSE), University of London. He retired from the IDF at the rank of Major, having served as Senior Intelligence Analyst Officer at the IDF/ Military Intelligence, and as a professional Arabic Linguist Officer in various commanding and instruction posts in IDF/ Military Intelligence. The following document constitutes a continuation of the document published by the author earlier, in which he noted that it was the first of a series of several documents. This document too is significant. It appears to have been written as a kind of commentary-article which seeks to clarify opinions and assessments of other educated Muslims, with whom the author is probably acquainted (perhaps as colleagues in the institute mentioned in the article) regarding the latest terror attacks and the involvement of Osama bin Ladin and Al-Qaida in them.